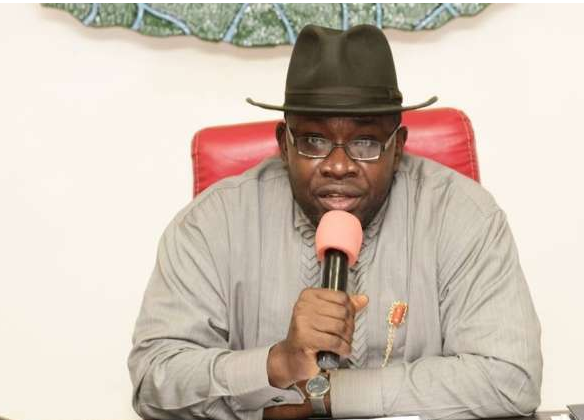 The Bayelsa State Government on Friday outlawed immunisation and health activities in schools following panic caused by false alarm raised over purported death of two pupils at St. Judes Secondary School after receiving monkey pox immunisation. Rumours of purported monkey pox immunisation mishap had compelled parents to withdraw their wards from schools on Wednesday through Friday. It should be recalled that the Minister of Health, Prof. Isaac Adewole, had said that there was no vaccine for the contagious monkey pox virus which broke out three weeks ago in Bayelsa. The Bayelsa government on Friday suspended all forms of medical outreach programme in public and private schools across the state. The state Commissioner for Information and Orientation, Mr Daniel Iworiso-Markson, announced the suspension at a joint press briefing with his Health counterpart, Prof. Ebitimitula Etebu. Iworiso-Markson said the government would monitor the situation and ensure strict compliance while urging the management of schools to “verify the identity of those who come around their premises for one thing or the other”. He described as deliberate misinformation the development which has led to the panic and withdrawal of students by parents from schools, stressing that “there is no such thing happening”. Etebu also described the rumour as unhealthy and called on parents to return their children back to schools as the government is on top of the situation. “I want to say that there is currently no vaccine against ‘Monkey Pox’, it does not exist. So, proprietors of schools should not allow any stranger to come and administer such on their pupils. “Anyone dressed in Army uniform, clinical or lab cloth injecting children should be reported. “The rumour is unhealthy and we condemn it. As a government, we are on top of the case and we will get to the root of where this falsehood emanated from,” he said. Spokesman of the 16 Brigade of the Nigerian Army in Yenagoa , Capt. Danjuma Danjuma, told the Media on Friday that there is no truth in the rumours that the Army was conducting immunisation in schools as part of its on-going Operation Crocodile Smile II. “The Brigade is not conducting vaccination in any school in Bayelsa. The reports are rumours peddled by mischief makers. “There is no evidence to prove this allegation. It is rather unfortunate,” he said.